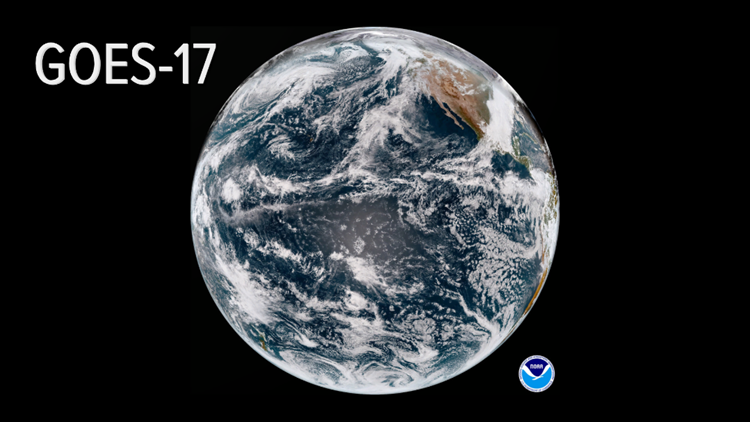 GOES-17 will bring higher resolution images and better weather forecasts. SEATTLE — A new weather satellite is about to become operational. Next week, GOES-17 will go into operations replacing the current GOES-West. GOES-17 has had a rough history so far. Since launching back on March 1, 2018 it's had problems with its cooling system. That pushed back operational status to December. But it was delayed again for a month due to a memory error. The recent federal government shutdown delayed the operational status once again. With all that’s happened, GOES-17 is slated for operation next week, barring additional setbacks. Here are some of the cool things GOES-17 can do: First off, check out that resolution. 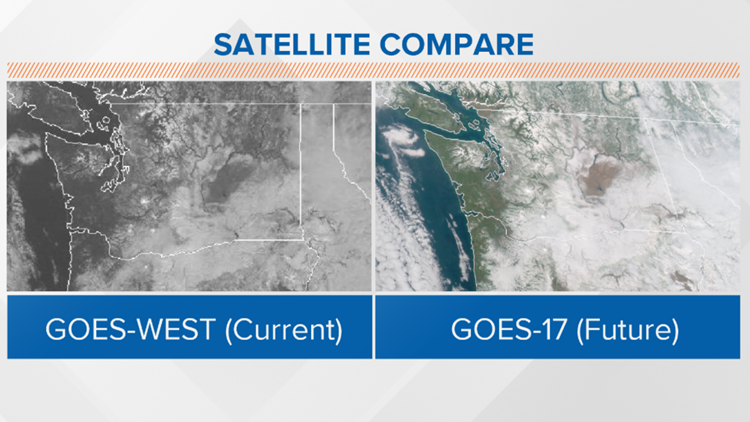 Below is a picture showing the difference between the current GOES West and the new GOES-17. Also, it can image the entire western hemisphere. It can image the entire U.S. every five minutes, three times faster than its predecessor. It will have something called Geostationary Lightning Mapper used for measuring lightning in a storm. 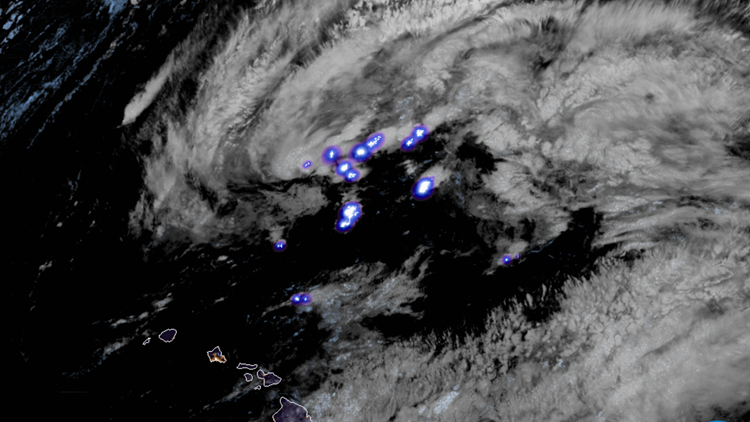 It’s the first geostationary satellite to do this. That’s important for studying severe storms, because an increase in lightning activity is linked to a rapidly strengthening storm. These new satellites are so hi-def, you can actually see the rotation in supercell thunderstorms and look directly into the eye of hurricanes.